France has won the 2018 FIFA World Cup after defeating Croatia 4:2. In a match that saw Croatia having about 61% of the ball possession, the French took the lead through an 18th minute own goal, off a Mandzukic header. Croatia equalized in the 28th minute off a Perisic shot. Ten minutes later, France took the lead through a VAR awarded penalty which was converted by Antoine Griezmann. France increased their lead in the 59th minute when Pogba fired in a shot from the edge of the box. While Croatia continued to enjoy more possession, France went further ahead with a 65th goal scored by Mbappe. Croatia got another goal through Mandzukic, courtesy of a goalkeeper error. That was however all they could achieve by way of a come back. 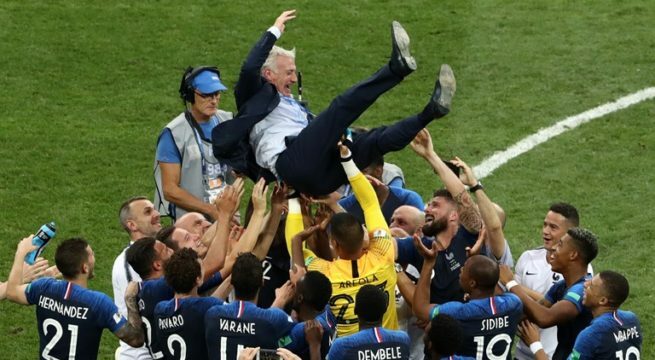 20 years after wining the trophy in France 1998, the French team again lifted the trophy only for the second time in their history.